It is time for the fifth installment of my weekly top 10 MLB power rankings! Since it’s the first edition for the month of July, I will be including the leaders in both leagues MVP, Cy Young, Rookie Of The Year, and Manager Of The Year races. There will be major changes, as one could expect. Anyways, enough of me blabbering on and on and on, here’s the latest top 10 MLB power rankings. Leave a comment if you have a disagreement in any area. You can catch last weeks rankings right here, https://scoreboardsteve.com/2012/06/25/top-10-mlb-power-rankings-june-25th-edition/ . 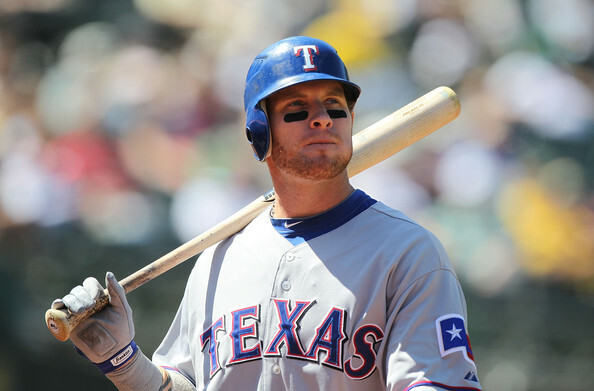 1)Josh Hamilton, CF, Texas Rangers: .314 AVG, 25 HR’s, 73 RBI’s, .381 OBP, .643 SLUG, .1.023 OPS. 2)Mark Trumbo, OF, Los Angeles Angels: .312 AVG, 20 HR’s, 55 RBI’s, .361 OBP, .620 SLUG, .981 OPS. 3)Robinson Cano, 2B, New York Yankees: .310 AVG, 20 HR’s, 46 RBI’s, .371 OBP, .591 SLUG, .962 OPS. 1)Chris Sale, Chicago Whitesox: 9-2, 2.27 ERA, 0.97 WHIP, 94 K’s. 2)Justin Verlander, Detroit Tigers: 8-5, 2.69 ERA, 0.98 WHIP, 121 K’s. 3)David Price, Tampa Bay Rays: 11-4, 2.92 ERA, 1.22 WHIP, 97 K’s. 1)Mike Trout, OF, Los Angeles Angels: .339 AVG, 9 HR’s, 33 RBI’s, .395 OBP, .542 SLUG, .938 OPS. 2)Will Middlebrooks, 3B, Boston Redsox: .298 AVG, 10 HR’s, 37 RBI’s, .335 OBP, .538 SLUG, .873 OPS. 3)Yu Darvish, SP, Texas Rangers: 10-5, 3.59 ERA, 1.36 WHIP, 117 K’s. 1)Joey Votto, 1B, Cincinnati Reds: .350 AVG, 14 HR’s, 47 RBI’s, .471 OBP, .632 SLUG, 1.103 OPS. 2)Andrew McCutchen CF, Pittsburgh Pirates: .346 AVG, 15 HR’s, 51 RBI’s, .401 OBP, .593 SLUG, .994 OPS. 3)David Wright, 3B, New York Mets: .354 AVG, 9 HR’s, 50 RBI’s, .447 OBP, .560 SLUG, 1.007 OPS. 1)R.A. Dickey, New York Mets: 12-1, 2.15 ERA, 0.88 WHIP, 116 K’s. 2)Matt Cain, San Francisco Giants: 9-3, 2.53 ERA, 0.95 WHIP, 114 K’s. 3)Stephen Strasburg, Washington Nationals: 9-3, 2.81 ERA, 1.08 WHIP, 122 K’s. 1)Wade Miley, SP, Arizona Diamondbacks: 9-4, 2.87 ERA, 1.06 WHIP, 66 K’s. 2)Bryce Harper, OF, Washington Nationals: .274 AVG, 8 HR’s, 22 RBI’s, .348 OBP, .471 SLUG, .819 OPS. 3)Kirk Nieuwenhuis, OF, New York Mets: .275 AVG, 7 HR’s, 25 RBI’s, .335 OBP, .414 SLUG, .749 OPS. 2)Don Mattingly, Los Angeles Dodgers. 3)Terry Collins, New York Mets. This entry was posted on July 2, 2012 by stevep. It was filed under Uncategorized .